I had mixed feelings about the third movie in the trilogy. On the one hand, there were many elements that I enjoyed. For one, I loved the soundtrack. Two, the animation was amazing. 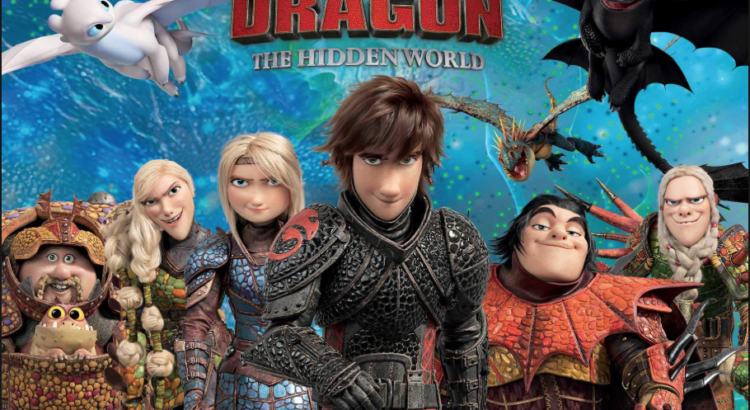 The Hidden World was creatively imagined, and I really enjoyed seeing new species of dragons that hadn’t appeared in the previous two movies. I could also tell that the animators did research on birds and other biological organisms in order to display a diversity of dragon species and behaviors. Toothless’s mating dance was clearly based on mating dances of birds of paradise. Lastly, I thought the themes explored were substantive and intriguing. 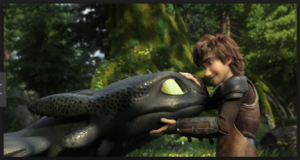 Hiccup’s coming of age story was heartfelt; he eventually found his sense of self and established self-confidence, even without Toothless. Flashbacks to Hiccup’s childhood were emotional and vulnerable. 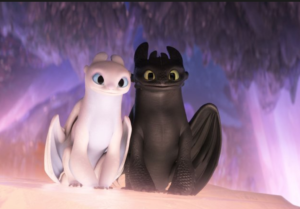 Toothless and Hiccup’s relationship also demonstrated the important lesson of how love and loss comes hand in hand. The weaknesses in the film, I thought, were generally in the plot. 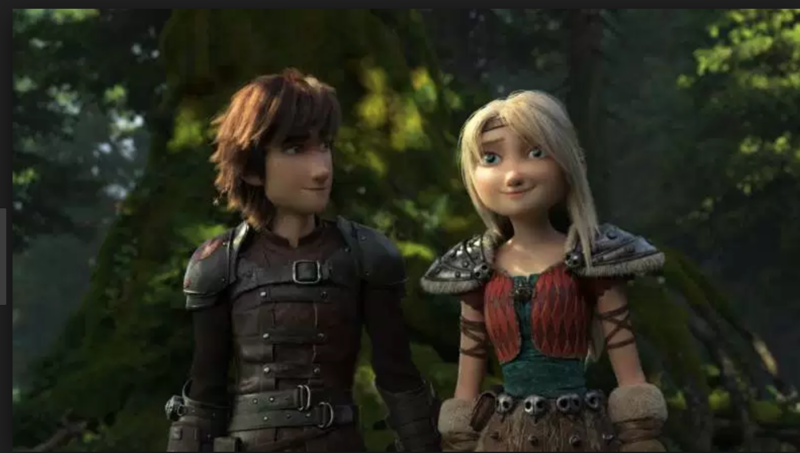 At times, it was rushed and sloppy: there were unanswered questions in the narrative, levels of threat posed in the story were either exaggerated or understated, illogical choices were made by Hiccup as a leader, and the main villain was unconvincing. Loose threads/unanswered questions: What happened to the warlords (secondary antagonists) in the story? After Grimmel (primary antagonist) was defeated, the warlords just dropped out of the narrative, which was odd given their massive army, resources, and ambition to conquer the world. The narrative could have been stronger, arguably, if they were taken out of the story completely. Plot points that don’t make sense: Why would the Vikings of Berk abandon their home without a concrete plan? Yes, Hiccup’s thinking and style of leadership is unconventional, but their village has hundreds(?) of people from an older generation accustomed to combat and warfare. It would make more sense for them to hunker down and fight Grimmel, meanwhile sending out people in search of the Hidden World so they can move there later (once they’re sure the place even exists). Exaggerated and understated levels of threat: (1)Grimmel had six Deathgrippers, versus the hundreds/thousands of dragons on the island of Berk. Hiccup’s forces significantly outnumbered Grimmel’s forces. Why would the people of Berk feel threatened enough to flee their island they’ve populated for seven generations? 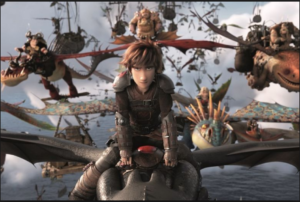 (2)Near the end of the movie, Hiccup’s crew attacked a massive fleet of ships in order to save Toothless and the Light Fury. They were outnumbered—possibly 1000:1. However, only two or three ships attacked them and were then easily defeated. There were no cannons fired, no arrows shot, no naval tactics were employed. What??? 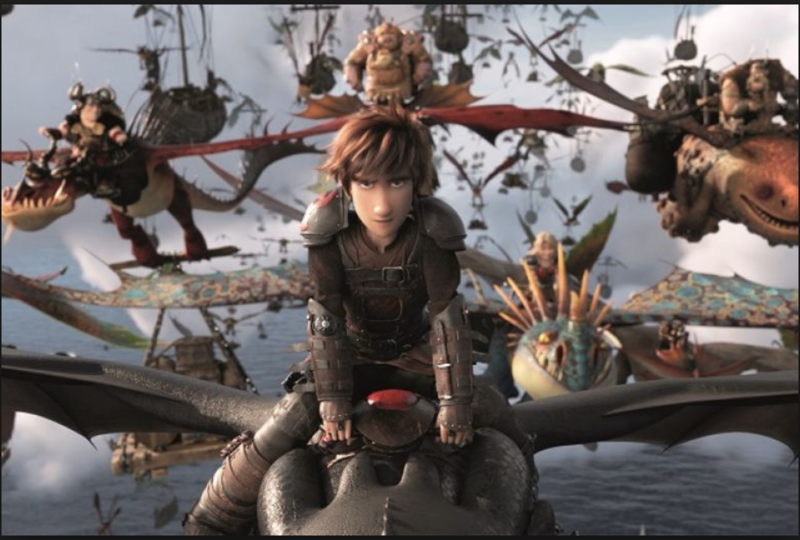 If only ten or fifteen ships were present in the scene, I would have been less confused and unsatisfied by the enigmatic ease with which Hiccup’s crew defeated the antagonists. Regarding the antagonist: I thought Grimmel was an unconvincing villain because he didn’t possess strong intrinsic motivations. Why did he target Night Furies? Why didn’t he want to train Toothless into being his servant instead of killing him? Why didn’t he kill Toothless, given the many chances that he had, if that was his ultimate goal? The movie briefly tried to answer some of these questions during Grimmel’s few monologues and encounters with Hiccup, but I just wasn’t convinced. Perhaps if the movie included a couple of flashbacks from Grimmel’s past, it would have shed more light on his hate of dragons and ambition to hunt Night Furies specifically. An Aside: Strangely, Astrid felt like a different character in the third movie. I’m not able to pinpoint why, but I think it may be because she had a more masculine role in the first movie (engaging in combat, being jealous of Hiccup, picking a fight with him, being rash(? )), and in the third, she took on a more feminine role (pacifying Hiccup, being the voice of reason, etc). Just the way she talked felt different for me. Agree or disagree—what are your thoughts on the film?